The Cottage Storage Sheds built in our facility in Dunnegan area a favorite among many shed owners. They give you a nice looking design with space for hanging things on the walls and adding a loft. This building can also be purchased as a Portable Cabin or a Cottage Garage. 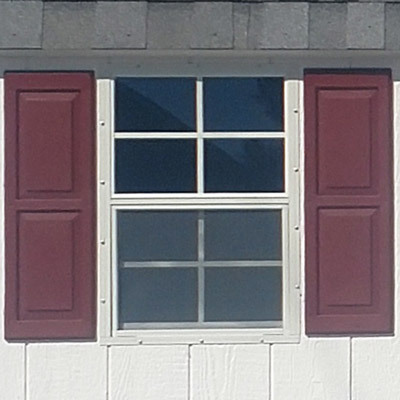 The Dutch Barn with One Window gives you a high roofline with plenty of space for a loft to add extra storage space. If you want to keep the floor area of your STORAGE SHED clear, then a Dutch Barn will give you the extra space you need. 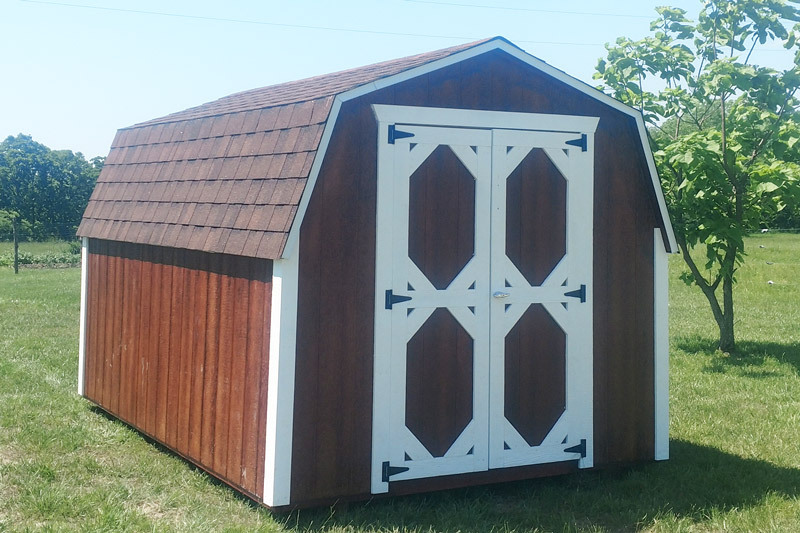 With the Dutch Barn Sheds you get more light and airflow in your Amish Shed. 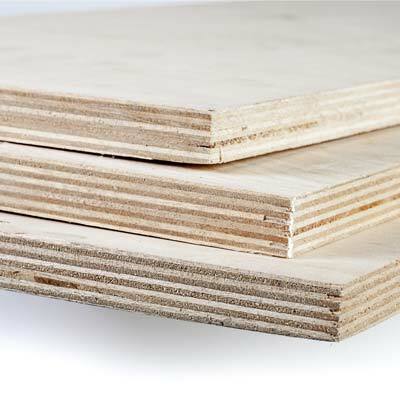 During the summer months, extra air inside the shed can make a big difference. 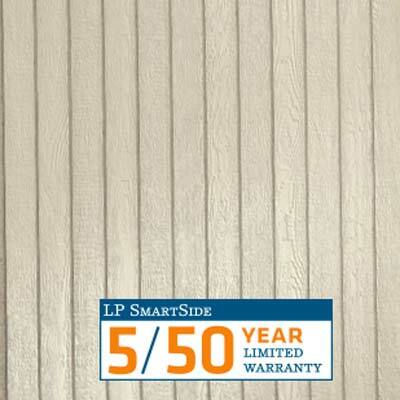 You can custom design this storage shed to fit your style and taste. Need a place to work on small backyard projects? 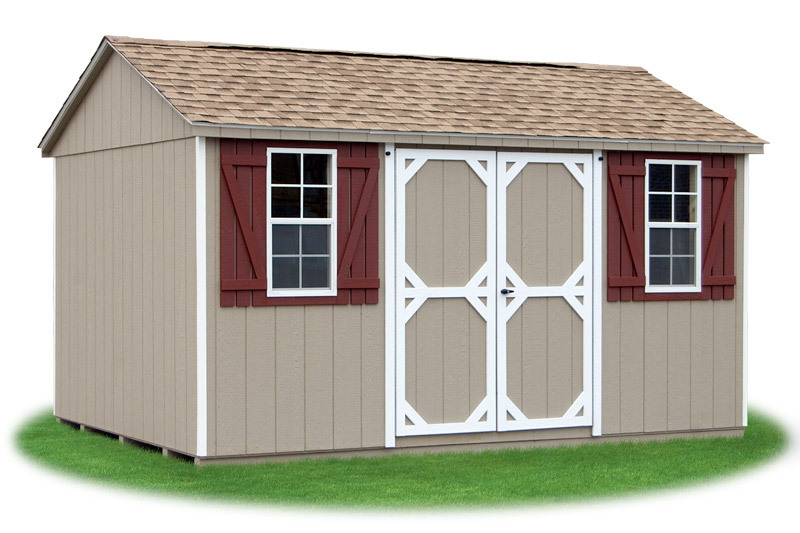 How about a Quaker Storage Shed that takes you back to the New England States? 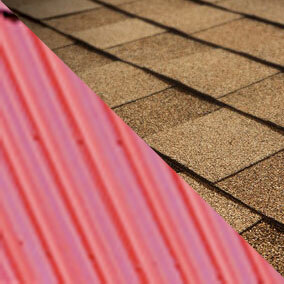 It was there that this roof style came about as people began adding more space to their homes. 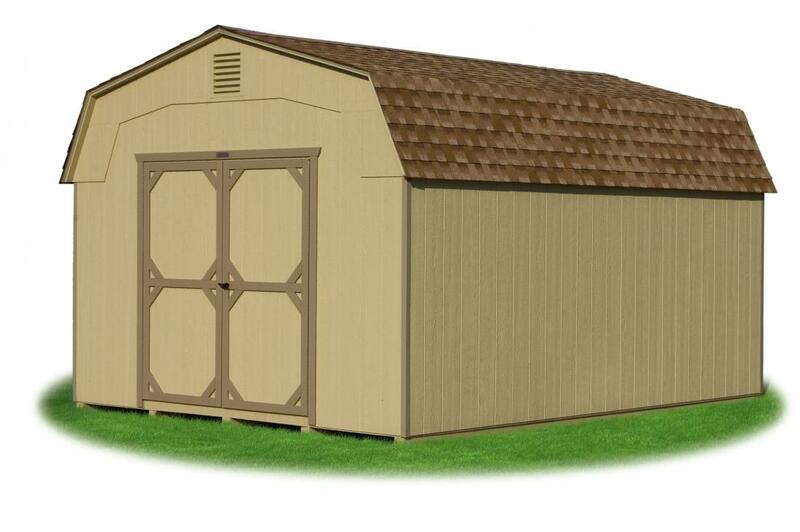 Buy this Shed for Sale direct from the builder in MO. 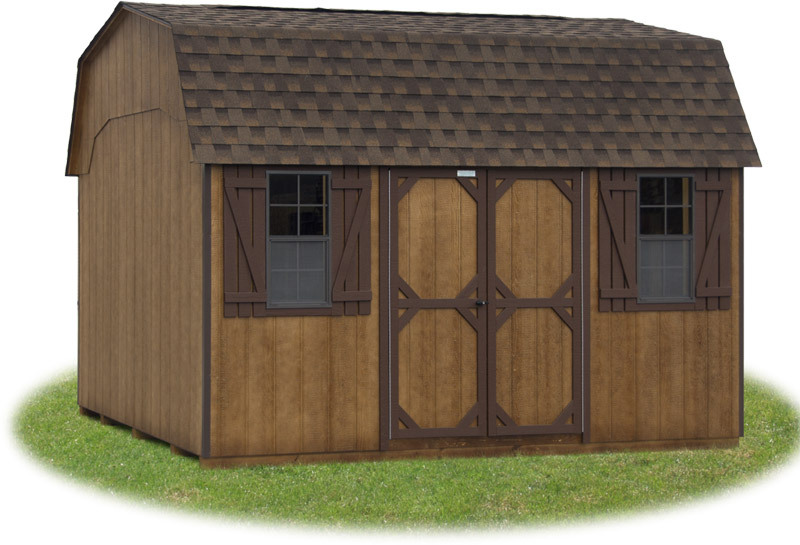 If you are looking for the best price on a storage shed, then the Mini Barn Sheds are your best option. 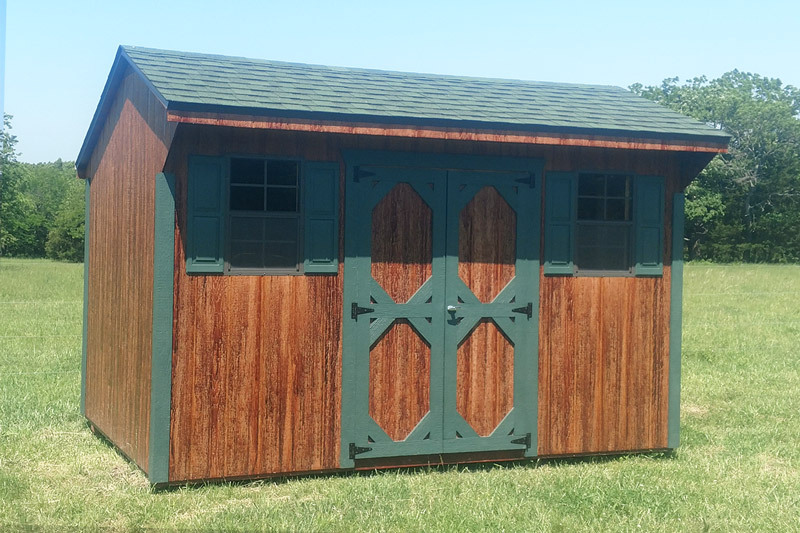 They offer less interior space, but come with the same quality build as all of the Amish Sheds in our collection.